Nurture your hens naturally with Manna Pro Organic Layer Pellets. Packed with the highest quality nutrition and free from pesticides, medications or genetically modified ingredients, feeding Manna Pro Organic Layers Pellets is a really great way to reward your hens for the delicious eggs they provide. 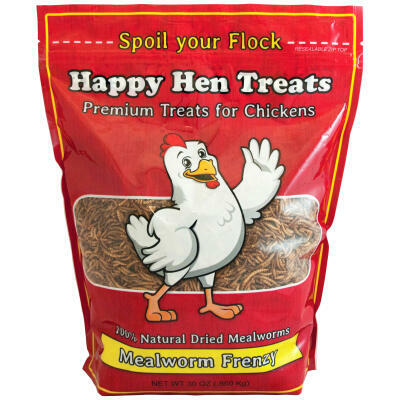 It provides ideal nutrition and quality for a natural, happy and productive flock. This feed is USDA certified. Recommended for feeding to mature laying chickens from around 16 weeks of age. Contains min 16% protein, min 0.75% lysine, min 0.25% methionine, min 5% crude fat, max 5% crude fiber, min 3.5%/max 4.5% calcium, min 0.5% phosphorus, min 0.3%/max 0.8% salt, min 0.01%/max 0.5% sodium and max 18% ash.